Planning a holiday in Bardolino? Check availability from more than 110 hotels and apartments of all standards. No reservation fees. The Bardolino area, like most of the settlements around Lake Garda, shows traces of pre-Roman and Roman settlement. In nearby Cisano, just to the south, archaeologists have found traces of a prehistoric fishing settlement, for example. But, in common with most of the other villages, the visible remains consist largely of buildings from the era of Scaliger rule and later. Bardolino itself is thought to have been named after a Lombard princess and nowadays is most closely associated with the wine of the same name. The vineyards of Bardolino cover the hilly area behind the Lake Garda coastline through towards Affi and the Verona-Bolzano motorway. 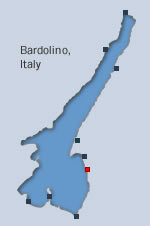 Bardolino has a variety of wines in the controlled DOC area (Denominazione di Origine Controllata) which is close to the equally well-known Valpolicella region near Verona. 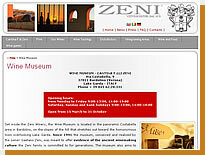 It is possible to take a trip around the vineyards on the Bardolino Wine Route ("La Strada del Vino Bardolino") or to visit the Wine Museum run by the Zeni vineyards in the countryside to the southeast of Bardolino, which is open in the summer months. The town of Bardolino was originally part of the administrative area from the main headquarters of various invading armies and people in Garda - the Lombards, Franks, Goths and others and eventually came under the control of the Venetians and Scaligers. Olive groves are the other main use of land amongst the vineyards to the southeast of Lake Garda. The Olive Oil Museum is located in the hamlet of Cisano south of Bardolino on the main Gardesana lake road. It includes exhibits covering the different stages of olive oil production, with examples of historic tools and documents and is open most days of the year. 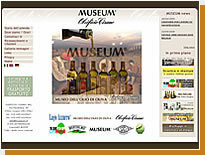 It was the first museum of olive oil in Italy when it was opened in the 1980s and welcomes 50,000 visitors a year. The centre of Bardolino has a number of historically-interesting buildings. The Romanesque church of San Severo on the main Gardesana lake road dates from the 11th century (the church which is visible near the port is that of Saint Nicolo é Severo and was built much later in the 19th century. The old Scaliger fortifications can also be seen at various points in the old town and pedestrian centre. There are also a number of villas and palazzos originally belonging to the "holidaymakers" of years gone by. 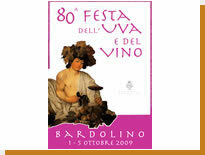 The Festival of the Grape in Bardolino ("Festa dell'Uva") takes places every year towards the end of the summer season. The "grape cure" season actually starts in September and carries on through into October. A "grape cure" was originally promoted in the 19th century in various wine-producing areas for the alleged medical benefits of grape juice - cleansing the stomach and liver amongst other effects - and involves the consumption of two kilos of grapes per day. The actual Festival is in the first week of October with plenty of stands serving local foods and drink and climaxes with the awards for the best wines of the year.